When most people think of the funeral industry, their first thoughts are typically about the sadness and emotions associated with death and not about the technology used in the industry. However, technology plays a crucial role in our industry. As you know, communication is critical for you to get your job done. And without technology, you wouldn’t be able to communicate. 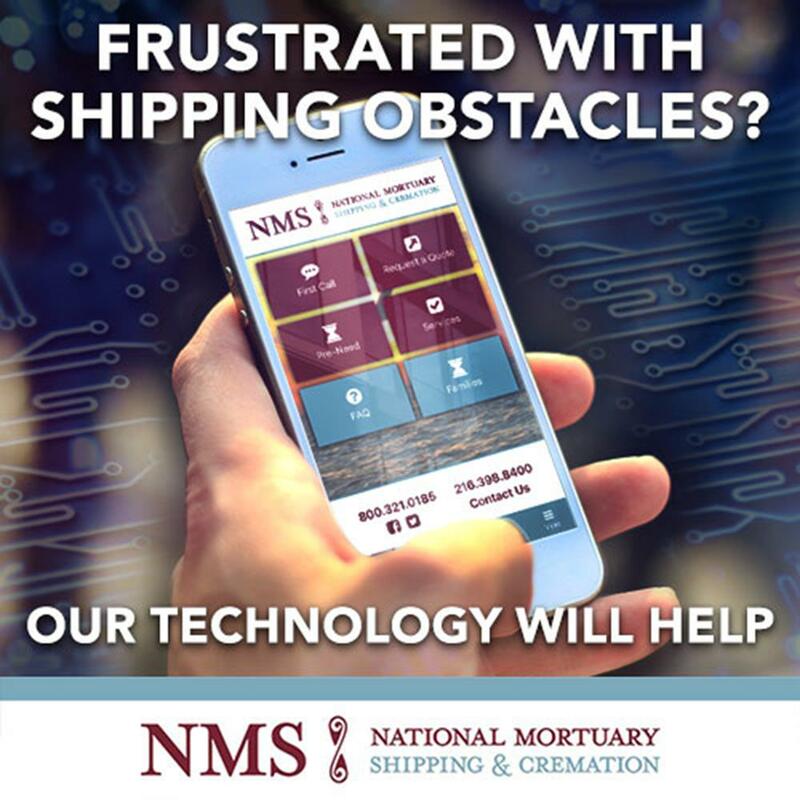 In the funeral industry, you need to communicate with those who you are serving and those who will help you serve your clients like us, the mortuary shipping experts at National Mortuary Shipping and Cremation. Because of this, we want to make it as easy as possible for you to communicate with us – that’s why we offer so many forms of communication through technology. So, how can you communicate with us? There are a lot of ways! The first of which is through our website. We use our website as a point of contact for you. On our website we provide forms for requesting a quote, first call, and pre-arrangements. When you fill out these forms, you provide us with the information we need to give you quotes and information efficiently. This is just one of the ways we use technology to communicate and best serve our customers. Another way that you can use technology to communicate is through phone calls. Sure, it seems like an obvious use of technology, but it is incredibly important in our industry. In fact, one thing that makes National Mortuary Shipping and Cremation different from other shipping firms is that we always have a live shipping specialist. Whenever you call us, you will have your phone call answered by a shipping specialist and never a recording or answering service. And, have you heard about our app? It’s another way that we use technology to communicate. Our app is completely free and available on the App Store and Google Play. We want it to be as convenient as possible to communicate with us – that’s why we created our app! We know how important communication is in the funeral industry and that’s why we’ve opened as many communication channels as possible. With better and faster communication using technology, like the communication you have with NMS, you can serve your families better. By serving your families more quickly through efficient means of communication, you can feel more comfortable taking on more customers. Where in the past, you may have had a certain capacity of people you could serve at one time, with more efficient communication and less delay, you may be able to serve more people. At National Mortuary Shipping, we understand how important communication is for you to get your job done. And, we understand how important technology is in achieving communication. Without technology, your job and our job would be nearly impossible, and we wouldn’t be able to serve you as well. We know that role that communication plays and that’s why we have opened up so many forms of communication. Do you need to get in touch? Reach out in whichever way is best for you! Haven’t heard about our app yet? Give it a try – it’s free and you can download it today!